For Texas-born hockey player named Austin, playing your first professional game just a stone's throw from the State Capitol is a unique and special occurrence. "Getting my chance to play in Austin was surreal," said Austin Smith at this month's Development Camp. "The fans were amazing. It was amazing to have that atmosphere being a Texas-born player." Smith started his love of hockey early on when his Dad took him to Dallas Stars' games when the team first moved to Texas. 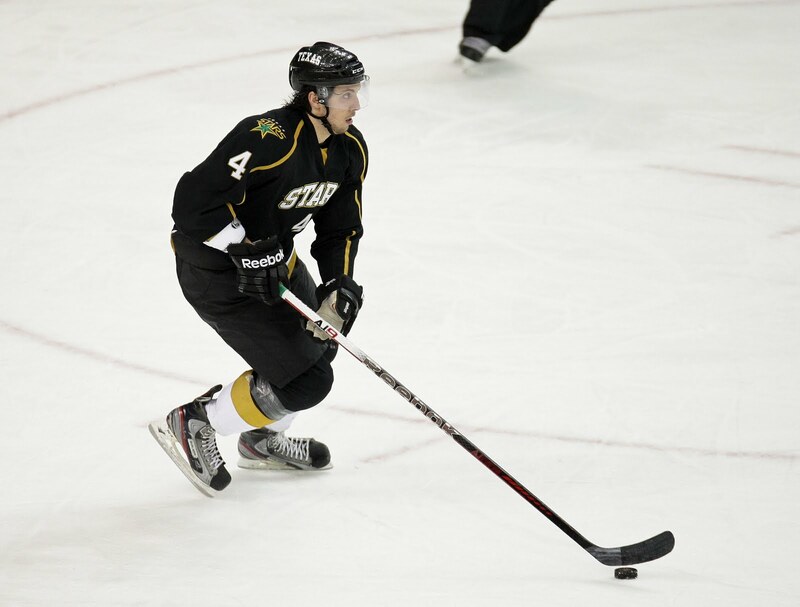 The Coppell, Texas, native picked up roller hockey shortly thereafter and then transitioned to ice, playing most of his youth career at the Stars' former practice facility in Valley Ranch. After moving to Connecticut to play at Gunnery Prep, British Columbia to play for Penticton, and later attending Colgate University in upstate New York, Smith has returned to his hockey roots for what he hopes is a long time. After finishing up his college career in the spring, he joined the Texas Stars for the final twelve games of their 2011-12 campaign. In Cedar Park and the Central Texas area, Smith sees an opportunity for hockey to gain a foothold as a big-time youth sport. 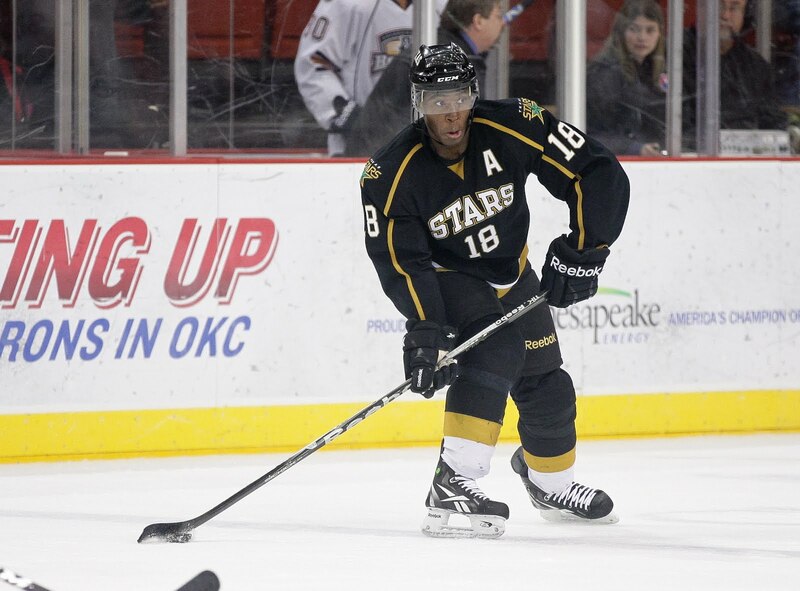 He was among the "first generation" of youth hockey players in Dallas. 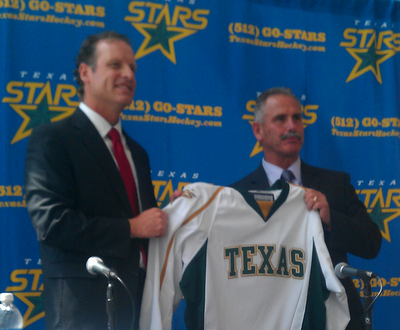 With the arrival of the Texas Stars, the Austin area could be seeing that same influx happening right now. 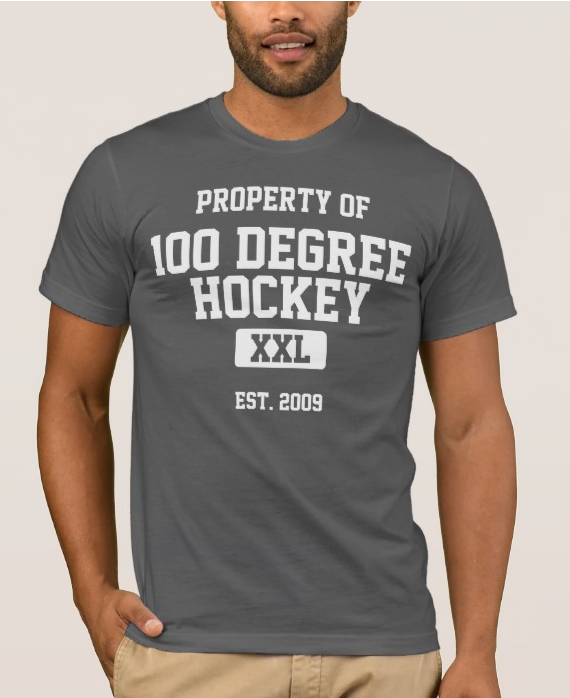 "[Birth years] 1986 to 1988 are that first generation of hockey here in Texas. There were probably only a couple hundred kids playing when I first started." Smith, who was born in 1988, saw hockey as a great alternative to football and basketball, even if it made him a little different than most of his friends. "I was little when I was young, so it was a good sport for me. I was never 'football-sized' and I wouldn't have made it in basketball either. However, there were times where I felt a little different, where you're at middle school and no one plays hockey. Everyone goes after school to play basketball or whatever." 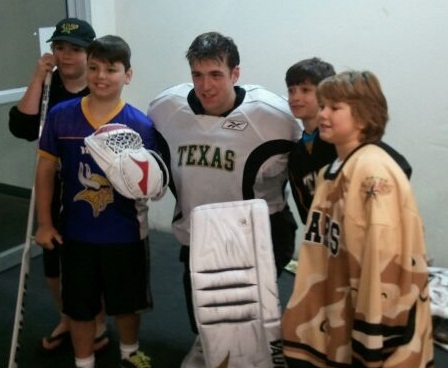 For Smith, the first step to growing the game in Central Texas is the addition of more rinks. With the closing of the Chaparral Ice location on I-35, the community has been reduced to one year-round rink. 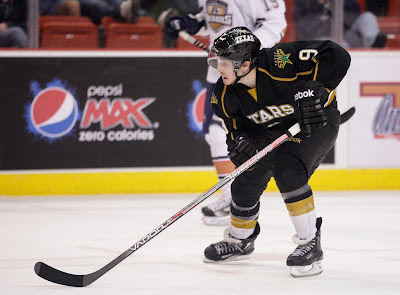 The Chap's recently announced partnership with the Texas Stars will help things but CenTex still has a ways to go before it reaches the level of coverage that Dallas boasts. "That's one beauty of being here in Dallas. There are 10-12 rinks in a 30 mile radius. If we can find a way to get more rinks in the area, that will definitely help the cause. That's the place to start. The ice is so expensive, and unless you have more facilities, the demand is so high and the price will only go up. For now though, Smith points out that youth players with NHL dreams needn't worry about getting on the ice every day. He often tells parents during clinics that off-ice or "dry land" training is just as important to the growth of a young player. Regardless of where the training happens, the passion for the game will start for many at the Cedar Park Center, just as Smith's passion grew out of trip to the Reunion Area in Dallas. "You have to get the kids started young on it. Everyone else goes out to play football, and I was playing hockey. I had a love of the game, and we need that to get more kids into it." 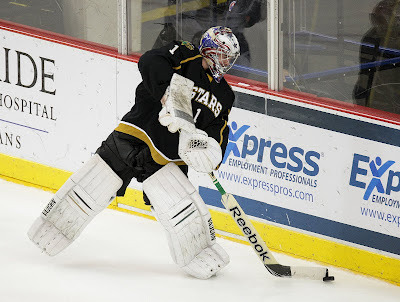 The Texas Stars have announced this afternoon that they have partnered with the local hockey rink, Chaparral Ice, to "maximize the availability of full-sheet ice at Cedar Park Center and Chaparral Ice". Essentially, the agreement allow the Chaparral Ice Center to schedule full hockey league activities at the Cedar Park Center through the year. Last season, the Chaparral Ice location on I-35 closed its doors and has since been purchased and renovated to no longer function as an ice rink. As the below release states, the Stars have an interest in ensuring there is more than just one ice sheet in the Austin area available for amateur hockey. In the 2011-12 season, the CPC opened its doors to the adult amateur community for a Spring draft league. This partnership looks to continue and extend that relationship through the existing Chaparral Ice league infrastructure. The Texas Stars and Chaparral Ice announced on Thursday that they have entered into a partnership to maximize the availability of full-sheet ice at Cedar Park Center and Chaparral Ice’s location at Northcross at West Anderson lane. The partnership also covers the continued development of the Texas Junior Stars program through Chaparral Ice’s youth travel teams. The agreement covers the managed scheduling of ice time at Cedar Park Center by Chaparral Ice to enable full hockey league activities in the Austin area. In addition, Chaparral Ice is the home of the Texas Junior Stars program. Chaparral Ice is a family-owned business that is home to approximately 20 youth teams, from recreation through high school to competition/travel hockey teams, with over 250 boys and girls ranging from ages four to 18. The facility is also home to over 400 adult league participants across 8 leagues. In addition to year-round hockey, Chaparral Ice is home to the Austin Figure Skating Club, Stars of Austin Synchro Team, Capital of Texas Figure Skating Club and the Lonestar Curling Club. The facility is also available for public skating, corporate events, broomball, and hosts year-round skating and hockey classes. Most young hockey players' sibling rivalries never leave the local hockey rink. As they ascend through hockey, fewer and fewer brother pairs make it to the next level. Only 259 sets of brothers have played in the NHL, and the Stars' Reilly Smith and Red Wings' Brendan Smith are in that select group. But before the two could potentially face off four times a year in the NHL, both needed some seasoning in the AHL. Brendan's prior experience with the Griffins over the past two years has helped reinforce the importance of the AHL to Reilly. "[Brendan] actually found that playing in the AHL was a lot harder grind than he thought it would be," said Reilly last week at Development Camp. "There's a lot of travel, and it's a lot harder than you think. It helped his game and made him stronger mentally. The AHL pointed out the weak areas of his game. We've talked a lot about it, almost everyday." Brendan and Reilly never played together as kids due to their age difference. Their best chance, with the OPJHL's St. Michael's Buzzers, did not come to fruition as Brendan left the club to play for the University of Wisconsin in 2007. Instead, Reilly joined his eldest brother, Rory, for that season with the Buzzers. Rory is now a professional lacrosse player with the Colorado Mammoth. Reilly went on to attend Miami of Ohio from 2009 to 2012. In his final season, he was among the top ten finalists for the Hobey Baker, scoring 30 goals and 18 assists in just 39 games. After leaving Miami, he played three games for Dallas before the end of the season. "[The NHL] was like night and day from college. As soon as I left, I knew I had a lot of work to do." And the AHL is a great place to learn some of those skills. "When I finished the year with Dallas, they said there were no guarantees. You're competiting to make the team just like everyone else. It's was a good experience and is helping me to push myself more." As part of that regimen to make himself better, he has been working out with Brendan in the weight room this summer. They are distinctly aware that they could face each other for the first time either in the AHL or NHL this season. "We're pretty competitive with each other. There's always that possibility that we'll play each other," said Reilly. "It'll be pretty interesting how it all works out. Backyard games of hockey were always competitive and I'm sure this would be no different." Between his new teammates in the Dallas organization and his Red Wings prospect brother, Reilly knows that if he does end up in Cedar Park it's a great place to start out his career. "Austin [Smith], [Brenden] Dillon, [Scott] Glennie and I have talked a lot about Cedar Park. They said it's a great atmosphere, and everything is awesome down there. My brother said it's one of the best places to play in the league." Late on Monday, the Dallas Stars announced the re-signing of forwards Luke Gazdic and Ryan Garbutt and the signing of new draftee defenseman Ludwig Bystrom to a three year entry-level contract. Gazdic and Garbutt were both restricted free agents at the end of the 2011-12 season and were both tendered qualifying offers. Garbutt signed a two-year one-way deal, while Gazdic signed a one-year two-way deal. With a one-way contract, Garbutt will likely spend his season in Dallas after finishing the year in the NHL last season. After playing in the CHL just two years ago, Garbutt has now scored a one-way contract in the NHL. If Garbutt is assigned to Texas, which could be possible but I think unlikely, fans know what to expect. Hoping that penalty trouble is resolved after time in the NHL, Garbutt can be counted on for high-energy play in the top two lines. Surely Texas would also love to have his shorthanded tenacity back on a pairing with another shorthanded beast like Mike Hedden. Meanwhile, the Stars wanted Gazdic to focus on playing between the whistles last year, and he had a career year in terms of offense, collecting 11-12-23 while only tallying 102 minutes of penalties, a career low. After a minus-22 in 2011-12, the next step for Gazdic is to tighten up the defensive side of his game. The last thing you want from an energy forward is a defensive liability. It's the next logical step in the growth of his game. This leaves Jordie Benn as the last RFA with a qualifying offer expected to play in Cedar Park not to have signed with Dallas yet. His brother, Jamie, the other big fish on Dallas's radar. Despite all signs initially pointing to no, the Stars have re-signed Maxime Fortunus on a one year, two-way deal. Fortunus is the club's all-time leader in defenseman games played, having started with the club in its inaugural season of 2009-10. Note that my pairings here are not "real". I'll admit that my initial leanings on this were incorrect. Rumour was that Fortunus was not happy with how the season went last year and was going to entertain other offers. Perhaps he did and wasn't happy with what he saw. I think the changes over the summer should show that the organization is committed to a culture change. I would also assume that when the details show up on Capgeek that he got a nice pay bump at the AHL level, commensurate with his veteran experience. 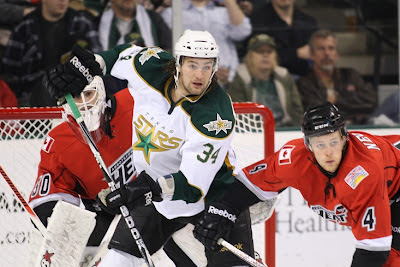 The Dallas Stars announced today that they have re-signed two of their restricted free agents, both of whom spent significant time with the Texas Stars over the past few years. First, Richard Bachman, who had filed for arbitration, signs a one-way deal with Dallas for $625,000. Given that I feel he will continue to grow into an NHL role, I would think that this pretty much ensure he will be the backup to Kari Lehtonen on opening night (whenever that is). Second, Colton Sceviour signed a two-way deal, also for a year, to play for the Stars again this season. It is still up in the air, however, where he may fall. In talking to Dallas staff at camp last week, there is some feeling that Dallas should allow the kids to play, warts and all, to get the NHL experience that will make them effective pieces of the puzzle in years to come. If Dallas goes that way, Sceviour will be high on the list to fill in those gaps. 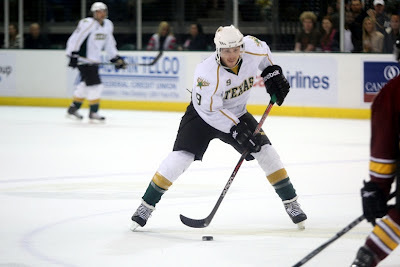 He was well trusted by Coach Gulutzan during his time in Texas and can be counted on to be defensively responsible. I got quite a few interviews at Stars Development Camp this past week. I'm going to space out the articles I'm writing about it over the next week though. Stick around to hear from Stars coach Willie Desjardins and prospects Jack Campbell, Reilly and Austin Smith, Alex Chiasson, and today, Brenden Dillon. 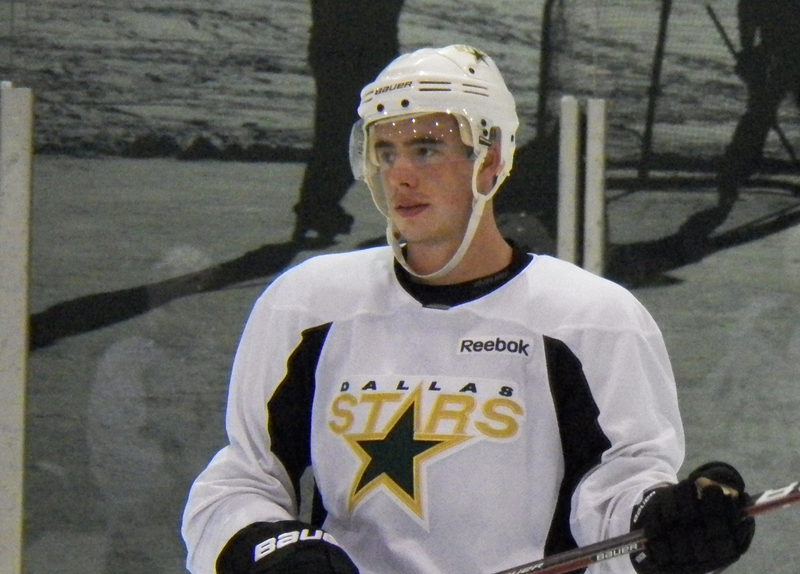 The big buzz around Stars Development Camp wasn't really about a recently drafted player. In fact, the player with some of the biggest buzz in the camp wasn't even drafted at all. Brenden Dillon, just starting his second year with the organization, was among those present at Stars camp over the past week in Frisco. Dillon, who is familiar to the Cedar Park faithful, picked up a lot of high praise in his single NHL game last season. Some are even projecting that he could crack the roster on day one. "I'm just trying to worry about what I can worry about", Dillon said. "You hear this and that, but I try to stay away from that and just play hockey." If he doesn't start there, he has a coach who knows his game well in Willie Desjardins. Dillon's Thunderbirds played against Desjardins' Tigers in the WHL. "I think [Desjardins] has a great system and reputation from coaching in the Western League with Medicine Hat, where I actually played against him," said Dillon. Dillon spoke highly of fellow blue-liners Jamie Oleksiak and Patrick Nemeth, both of whom are expected in Texas this season. "The future is bright in both Dallas and Texas. Fans have a lot to look forward to." Dillon will head off to Gary Roberts' camp to learn the finer points of health and fitness, including healthy eating, with some of his teammates. After that, barring CBA upheaval, he could be headed back to the Traverse City Tournament, where he served as captain last season. "[The CBA]'s not up to me, but I had a great time last year and it was a great tournament. If [the CBA] does go through and I'm there." It was clear from my talk with Brenden, and some of the other players, that the CBA is weighing heavily on their mind. At such an early stage of their career, this year could represent an inflection point in their potential. However, these young prospects know that it's not up to them and they are only working to control what they can. After getting one small taste, Dillon knows that he wants to get back. "To be here full time is a big motivation for this summer." The Dallas Stars are expected to announce today that they have hired former NHL defenseman Doug Lidster to the role of Texas Stars assistant coach. Lidster played 897 NHL games through a 16 season career, even making a 17 game stop in Dallas in the 98-99 season. Lidster spent ten years with the Vancouver Canucks from 1983-1993, serving as their captain in the 90-91 season. The 52 year-old Kamloops native has a connection to the Stars' current coaching staff as he was Willie Desjardins' assistant in Medicine Hat during the 2002-03 season. Lidster got his own gig as a head coach for the Saginaw Spirit, but resigned midway through the season following an incident with a player, as described in the Ottawa Sun here. It seems like a rather unfair situation that he was put in, and surely he is happy to have a second chance with the Dallas system. During his time in the NHL, Lidster was known as an offensive defenseman. He quarterbacked the power play, scoring 75 goals and 268 assists in his career. He won Cups with the Rangers in '94 and Stars in '99. 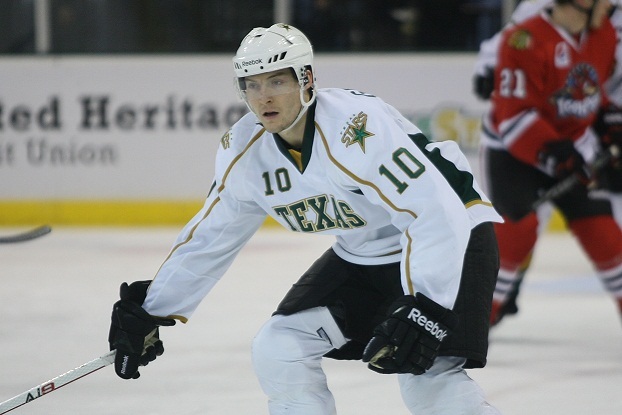 While the hockey world drools over the thought of Ryan Suter and Zach Parise teaming up in Minnesota, the Texas Stars got a little bit of free agent news themselves late last night. Multiple sources report that the Dallas Stars have signed veteran defenseman Tyler Sloan to a one-year, two-way deal. Tyler Sloan is a 31-year old defenseman, most recently of the Milwaukee Admirals, where he compiled one goal and nine assists in 62 games of service. 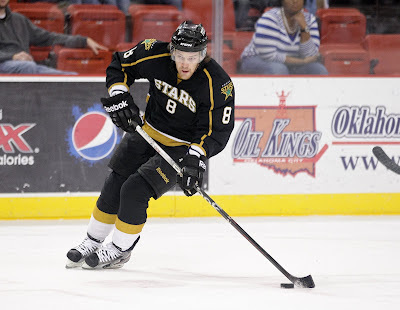 Sloan has played in the NHL with the Washington Capitals, putting up four goals and thirteen assists over 99 games. Sloan was on a two-year contract to the Capitals from 2010-2012, but had the last year bought out and became a free agent this time last year. He signed a two-way with Nashville and was assigned to Milwaukee. Sloan has played 467 regular-season games between the AHL and NHL. He also spent some time with the Las Vegas Wranglers under Coach Glen Gulutzan. It is possible that another defenseman could sign, setting up a sure fire first-callup guy. However, I think that player is most likely to be an AHL-ECHL player who will sign at the bottom of this depth chart rather than an NHL-AHL guy who will fill in somewhere in the middle and bump Coyle to Idaho. 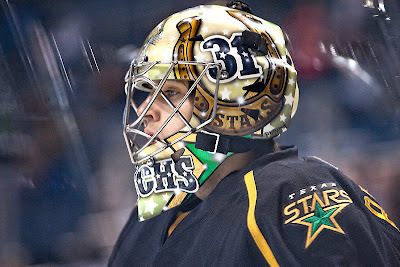 Finally, the expected departure of Lukowich leaves the Stars capitaincy open and up for grabs. My money is on Francis Wathier. What do you think?